A shade is a necessity to a lamp. 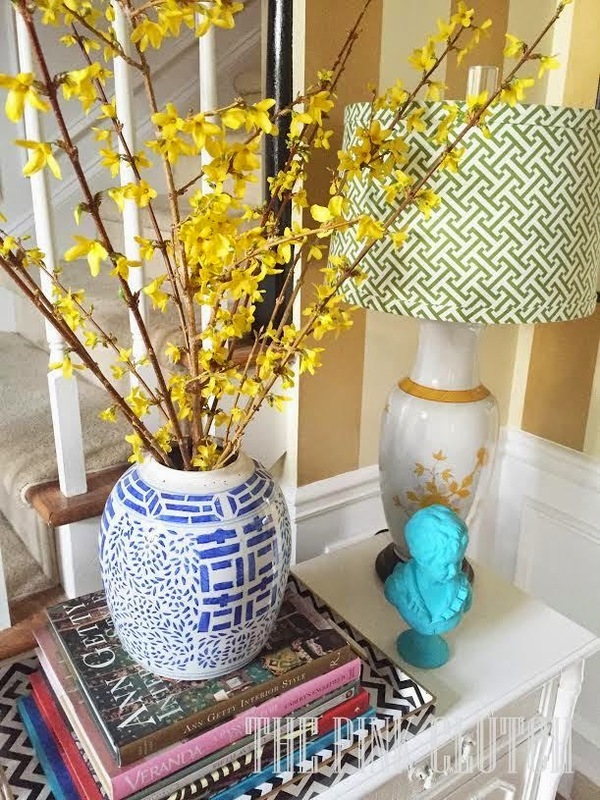 You wouldn't use the lamp without it ... but it doesn't have to be white and plain and boring. To me its sort of like a belt. I wouldn't wear pants with loops without one ... but I don't have to chose the brown boring belt that does nothing for me. I will happily choose the leopard one with a monogram buckle! I think there is a great place for a white shade ... sometimes the lamp is so fabulous that anything but a white shade would be wrong. But I have found in most cases ... a fabulous custom shade is so much fun. It the leopard belt with the P buckle. It just makes me happy when I see it. For years I have been covering my own shades. I use to pay the fab lamp lady to make them for me and then one day she said ... "You realize you pay me to do something you could do yourself?" And then in the next ten minutes she taught me how to make it on my own. Over the years I have always added something to my shades. Trim on the bottom if nothing else ... it just adds a lot in my opinion. 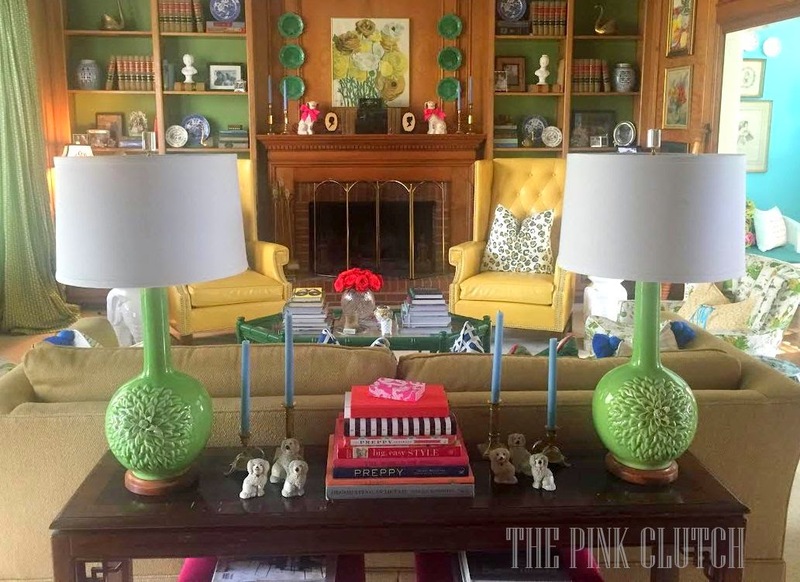 Pink trim on green shades for her blue and white lamps. Oh yes, those will do perfectly! Monogramming these was just the best decision. I cut the piece I needed to use and then had my favorite monogrammer add my monogram in pink. 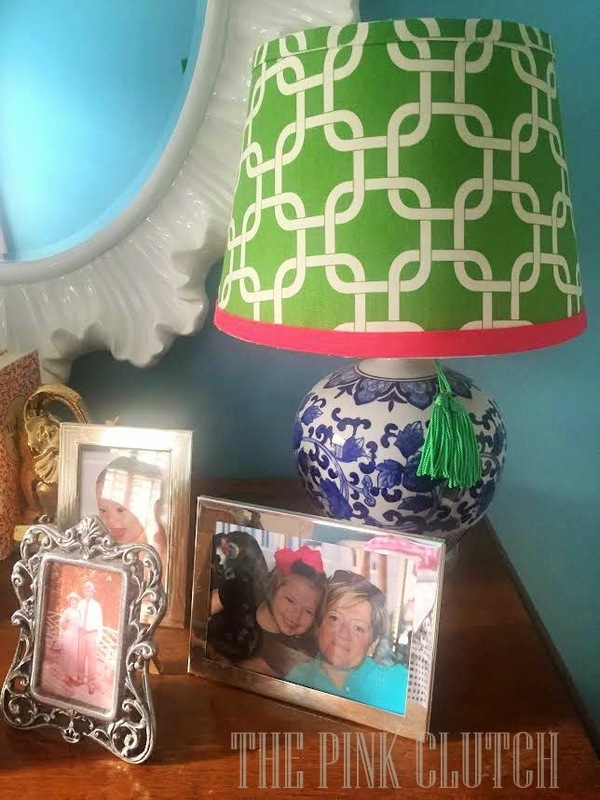 It was easy to add to the shade when it was done and then finish it off with a grosgrain trim. 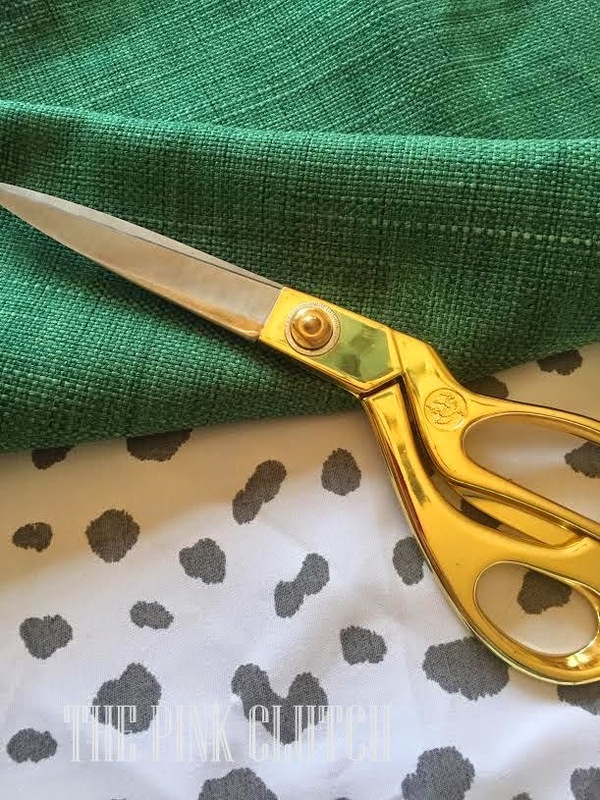 I now find myself dreaming of fabric and trim combinations when I see a plain shade. Do not get me wrong ... I do have plenty of lamps with white shades. And I do love them. Well maybe I love them a little less, but I do see an occasion where fabric and trim is just too much. Ok those words just came out of my mouth and then I choked on them. When have I ever thought anything was just "too much"? Clearly color in my home is not an issue. Every single corner has color of some shade or another. And it just makes me happier when I am here. These lamps are on my list to recover. They just need something. Now that the bookcases are wallpapered and the pillows are swapped and complete I just need to chose a fabric and make it happen. to trading out this single shade for another print and making an identical one for the den lamps. I just completed a set yesterday for PKL for their room in the High Point show house. 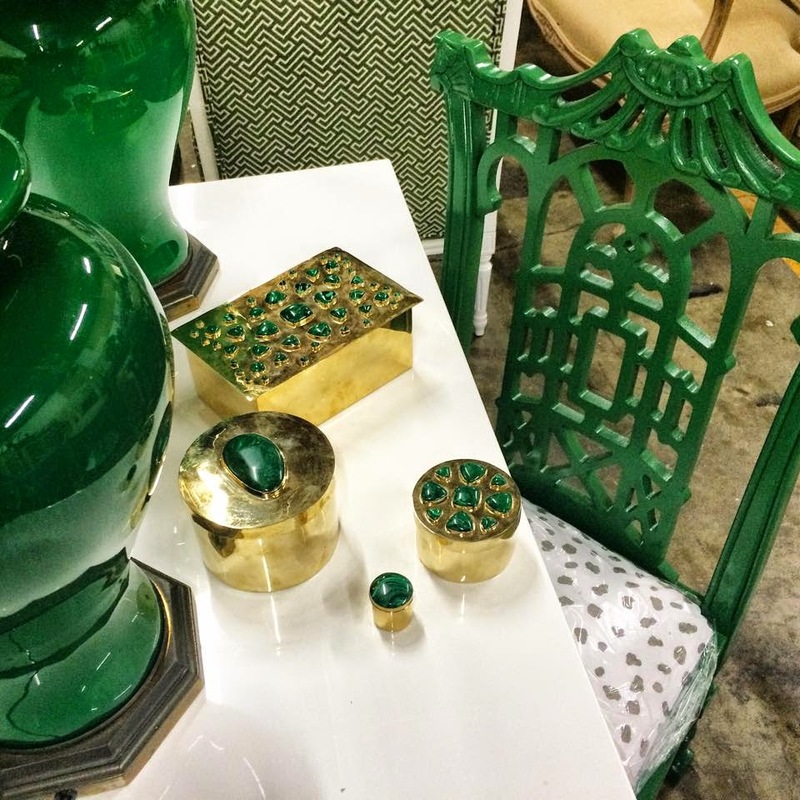 The shades are amazing and be to die for with the green lamps they are destined to marry. 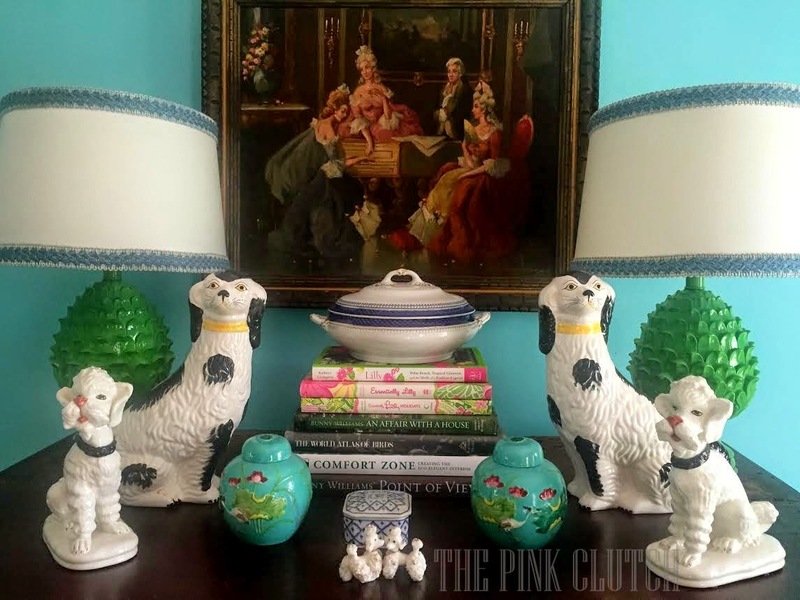 Isn't the vignette divine? I can not wait to see the room completed!! 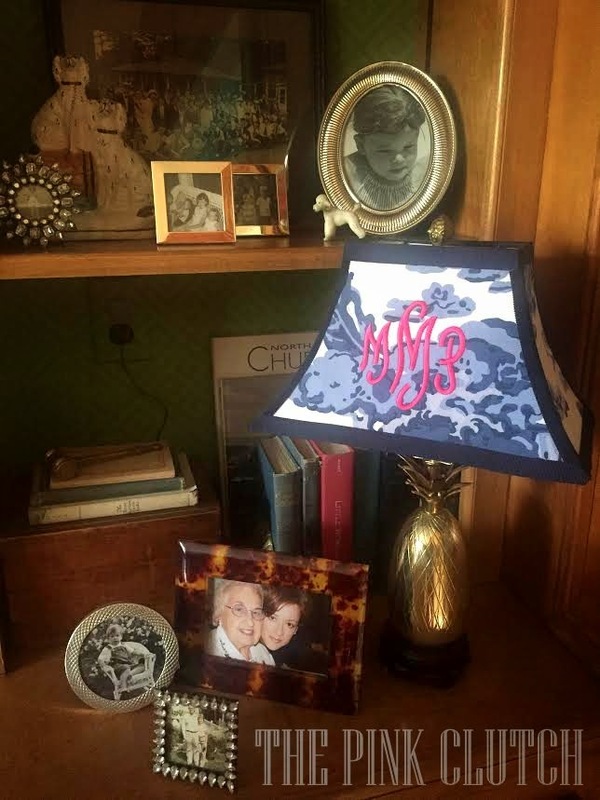 My challenge to you ... don't settle for a plain lamp shade. Glam it up. Add the leopard belt with the monogram buckle. Love the shades you have created. I have made many myself, or have at least added a bit of trim. I am loving the idea of adding the check to the green lamps. The green patterned one is nice, but I think the other will pop more and draw your eye to the color in your office I believe? 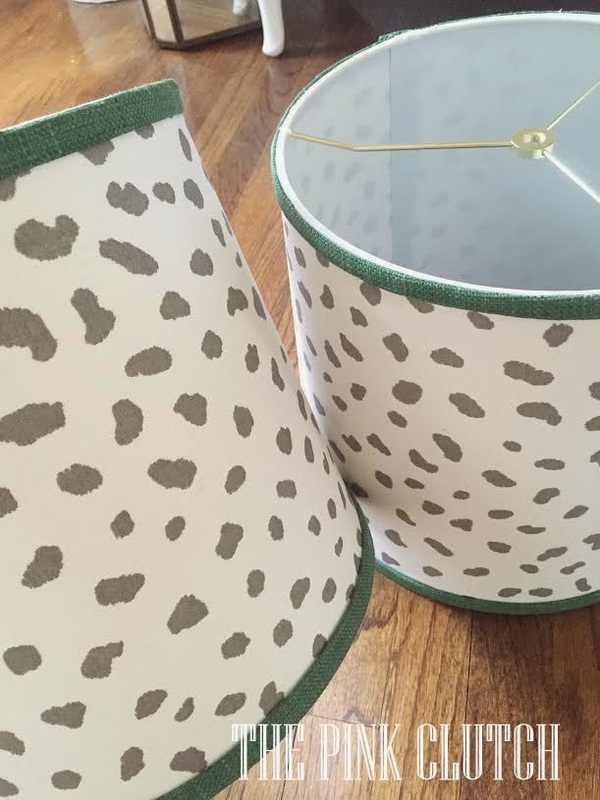 OK, Paige, you big tease --- how about a 10 minute tutorial on making lampshades for the rest of us? We will love you even more, forever . . . . Please give us a tutorial. I'm dying for your turquoise check. Isn't that turquoise check di-vine?? 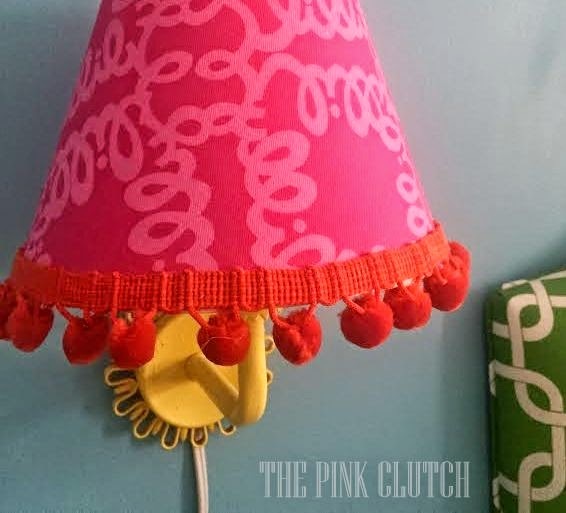 I will surely die if you don't do a tutorial for covering lamp shades. I can't imagine that you would want to be responsible for the death by ignorance of a faithful reader!